Treat yourself with great deals on drinks throughout the night, plus a free Mike Tyson face tattoo! Easy to redeem. Its our first time to see and watch like this so its nice and enjoy! Ever watched 'The Hangover' films and wished you could experience a crazy, adventurous night out like that? Here's your chance to round up the Wolf Pack and relive the second instalment's antics and misadventures, filmed right here in Bangkok! Experience all the hedonistic wonders the unique nightlife of this city has to offer, including bars and clubs typically hidden away from sight. 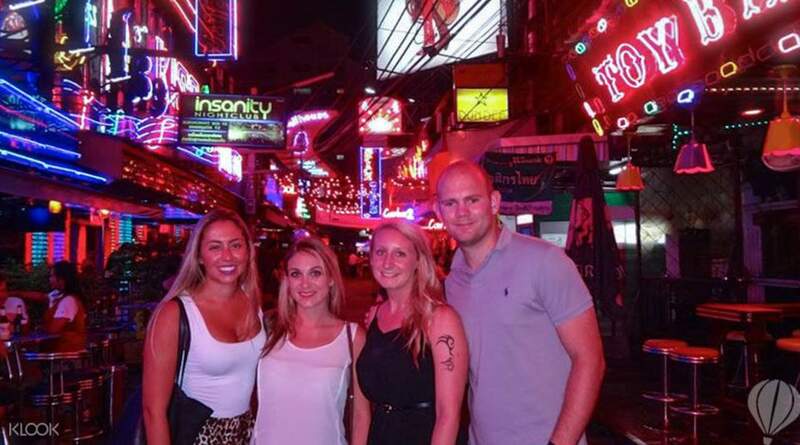 The tour starts off at Soi Cowboy, then moves on to Nana Plaza, where you'll glimpse the city's hottest nightspots. 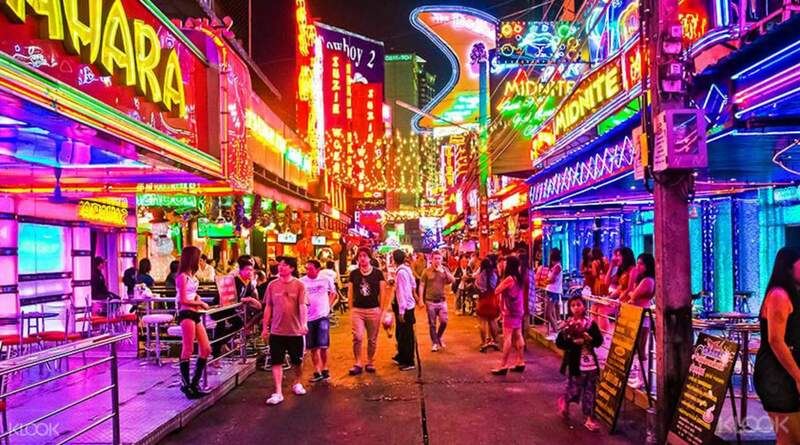 From there, make it to Pat Pong to see some Thai boxing, or enjoy a flamboyant, ladyboy show at the exotic and fetish clubs. 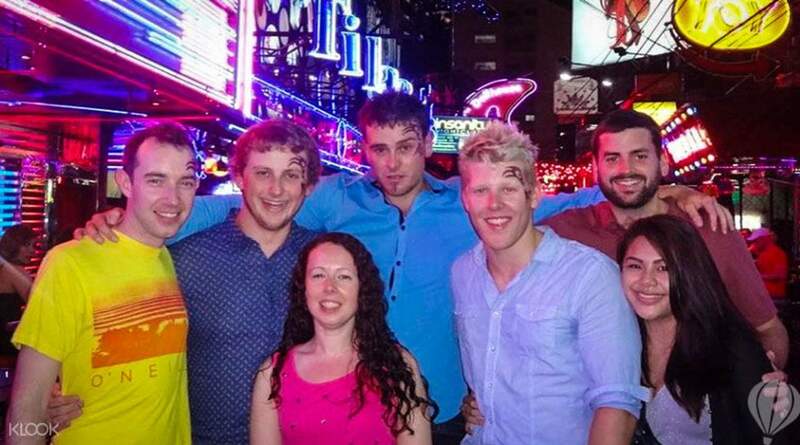 Make sure you complete the night in full Wolf Pack-style with a free Mike Tyson face tattoo! Entertaining and wild, this tour is especially suited for the perfect stag and hen night, though of course, why limit the fun to those soon-to-be-hitched? Miya was a great tour guide. We wanted to start the tour late as it was our last night and wanted to visit a night market before the tour. She was flexible with the timing. And even though we started late, she didn’t rush us throughout the tour and even stayed with us beyond the tour timing. The tour was an eye opener for me and it’s one of the best way to explore Bangkok’s nightlife in a safe way. My Friend and I had a great time during the tour together with Miya. Miya was a great tour guide. We wanted to start the tour late as it was our last night and wanted to visit a night market before the tour. She was flexible with the timing. And even though we started late, she didn’t rush us throughout the tour and even stayed with us beyond the tour timing. The tour was an eye opener for me and it’s one of the best way to explore Bangkok’s nightlife in a safe way. My Friend and I had a great time during the tour together with Miya. The popular Hangover movie was taken here. Out of curiousity, we booked this tour. Our beautiful tour guide,Aom showed us around the red areas in Bangkok. She's the type you'd never expect to show you around these places but she made our tour fun. This is not a tour for everyone. Men would enjoy this most and maybe a group who are fond of the unexpected. We had a taste of delicious street food after. The one in pink in the pic is our tourist guide. I'd definitely recommend Aom to anyone who'll visit Bangkok. The other pic is a bit blurred to protect identity of people :) just wanted to have a souvenir. Pics not allowed inside the bars. The popular Hangover movie was taken here. Out of curiousity, we booked this tour. Our beautiful tour guide,Aom showed us around the red areas in Bangkok. She's the type you'd never expect to show you around these places but she made our tour fun. This is not a tour for everyone. Men would enjoy this most and maybe a group who are fond of the unexpected. We had a taste of delicious street food after. The one in pink in the pic is our tourist guide. I'd definitely recommend Aom to anyone who'll visit Bangkok. The other pic is a bit blurred to protect identity of people :) just wanted to have a souvenir. Pics not allowed inside the bars. 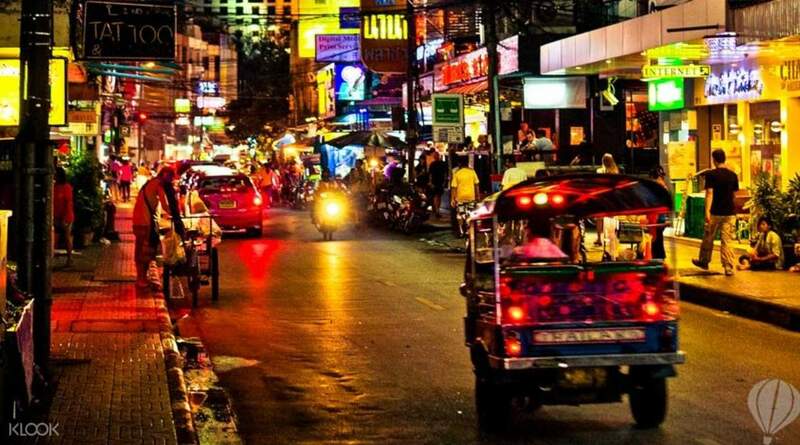 We just wanted a sneak peak into Bangkok’s night life/ red light district & we got that with the added bonus of not having to think about where to go & what to do. Our guide took care of us & told us what we needed to know & was very accommodating with what we wanted! We just wanted a sneak peak into Bangkok’s night life/ red light district & we got that with the added bonus of not having to think about where to go & what to do. Our guide took care of us & told us what we needed to know & was very accommodating with what we wanted! Miya was great! She was so friendly and explained to us the crazy bangkok life. We had a local tour prior to this one so we were pretty tired but Miya was so engaging. She took pictures of us and was punctual. Highly recommended! Miya was great! She was so friendly and explained to us the crazy bangkok life. We had a local tour prior to this one so we were pretty tired but Miya was so engaging. She took pictures of us and was punctual. Highly recommended! We had a great night! I recommend this trip especially if it's your first time. Aya our tour guide was fun and knows the ins and outs of Bangkok's wild night! If you want to experience the club scenes and not get ripped off, the Hangover Tour is the way to go! We had a great night! I recommend this trip especially if it's your first time. Aya our tour guide was fun and knows the ins and outs of Bangkok's wild night! If you want to experience the club scenes and not get ripped off, the Hangover Tour is the way to go! This is a perfect night, we meet some new friends drink together. it is comfortable and safe and knows a lot of difference night club culture. Tour guide Boo is very nice, careful explanation to us.I recommend this trip very much If you went have an amazing night. This is a perfect night, we meet some new friends drink together. it is comfortable and safe and knows a lot of difference night club culture. Tour guide Boo is very nice, careful explanation to us.I recommend this trip very much If you went have an amazing night. This is the best way to explore the wild side of Bangkok the safe way. The tour is exactly what was explained in Klook. We were given extra tour by our tour guide Eya outside of what was in the package. She bought us good street pad thai and papaya salad.. and even helped us book for a massage for our last night in Bangkok! Be sure to bring with you extra cash if you want to see the extra secrets. Most of the clubs require only buying drinks (from 150B to 400B). I suggest for first timers go for the pingpong show at discounted entrance of 600 inclusive of 1 drink. I was so amazed! This is the best way to explore the wild side of Bangkok the safe way. The tour is exactly what was explained in Klook. We were given extra tour by our tour guide Eya outside of what was in the package. She bought us good street pad thai and papaya salad.. and even helped us book for a massage for our last night in Bangkok! Be sure to bring with you extra cash if you want to see the extra secrets. Most of the clubs require only buying drinks (from 150B to 400B). I suggest for first timers go for the pingpong show at discounted entrance of 600 inclusive of 1 drink. I was so amazed! We had such a great time meeting new people and seeing parts of where the movie took place was cool to see;however, not so much focus on the movie itself. We still had a great time and our tour guide was great. We had such a great time meeting new people and seeing parts of where the movie took place was cool to see;however, not so much focus on the movie itself. We still had a great time and our tour guide was great. Went there on a weekend get away and enjoyed the Hangover Tour! Very proffesional treatment with all the fun you could ever imagine. The Wolfpack was great! Certainly recommend it. Wendy with my girlfriend and she had the time of her life. If you want to experience the bar scenes and not get ripped off, the Hangover Tour is the way to go. Went there on a weekend get away and enjoyed the Hangover Tour! Very proffesional treatment with all the fun you could ever imagine. The Wolfpack was great! Certainly recommend it. Wendy with my girlfriend and she had the time of her life. If you want to experience the bar scenes and not get ripped off, the Hangover Tour is the way to go.